Michelle’s Miracle® is a delicious and powerful dietary supplement with higher ORAC levels than other popular superfruit drinks including pomegranate and acai. Michelle’s Miracle® Tart Montmorency cherries are handled with tender loving care with our exclusive CherryChill™ Process and special packaging to deliver the full power of cherries to you. If you don’t care for the flavor of pomegranate or acai juices, you will be pleasantly surprised by our powerfully delicious “cherry pie in a bottle”. 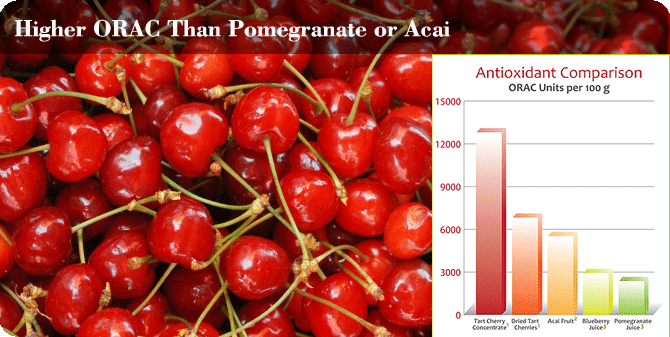 With Michelle’s Miracle® you are assured you will get all the “miracles” that nature put in cherries.